Show your support for Bradley Wiggins's Hour Record attempt next Sunday with replica jersey, shorts, and even socks. With Bradley Wiggins’s attempt at the Hour Record now just over a week away, Rapha has released a range of Team Wiggins replica kit to let you show your support when the four-time Olympic champion aims to better Alex Dowsett’s 52.937km mark on June 7. The most popular item in the new range is likely to be the replica jersey, which is described as being “lightweight, high-wicking, and anti bacterial” has the same race-fit as used by the professional team. 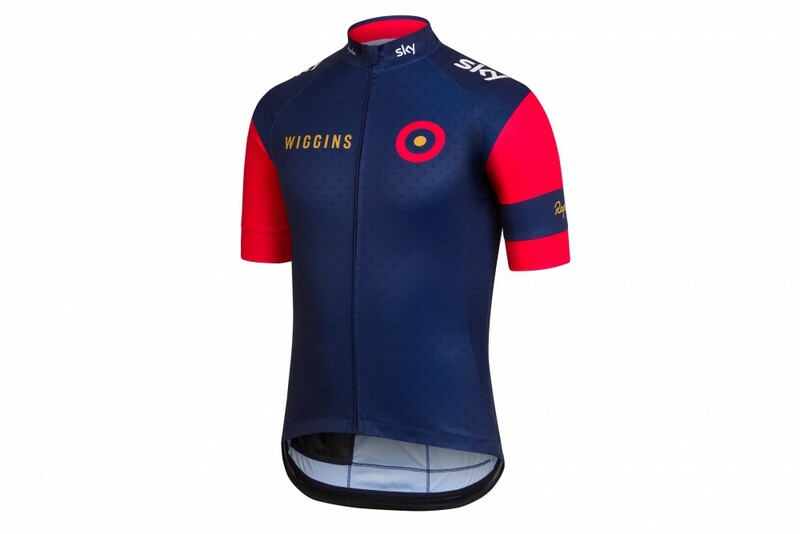 The red and blue design is inspired by British national kits from the 1980s, and features Wiggins’s trademark target roundel on the left breast, as well as “Wiggins” written in large gold lettering across the rear. The matching bib shorts, which are based on Rapha’s existing Pro Team bib shorts, feature a slightly more subtle design, with the “Wiggins” written around the left thigh looking to be a dimmer shade of gold. You also get an explanation of the target roundel and mod culture stitched into the rear of the bibs (well, we’d expect nothing less from a £190 pair of shorts). However if you fancy showing your support in a slightly more subtle (and less expensive) fashione, there are also a cap, t-shirt and socks, which will each set you back between £15-£25. For more details visit the Rapha website.